Large or small, MIDACO will keep your spindle running! 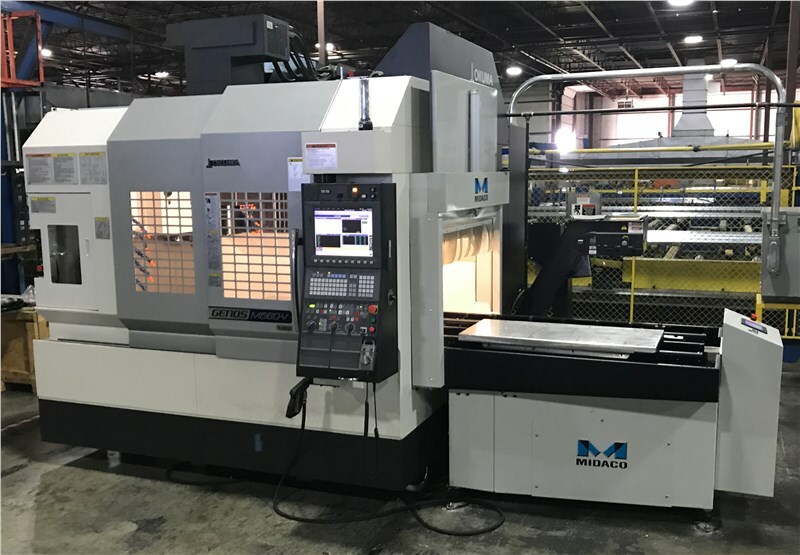 In recent years we’ve expanded our line of pallet changers to accommodate the need for large precision parts machined to tight tolerances for the aerospace, energy, automotive, medical, military, power generation, oil and gas industries. These jobs cause significant spindle downtime due to the long and involved process of heavy, large part change over. When combined with crane loading, first article inspection and job interruption tasks, the machining center can be idle for 30 minutes... an hour... two hours? Your large Vertical Bridge Mill can be idle up to 70% of the time. Estimate how a pallet changer will eliminate unnecessary spindle downtime and rescue lost profit with MIDACO's ROI Payback Calculator. Idle machine time means slow production and lost profit per each machine owned. 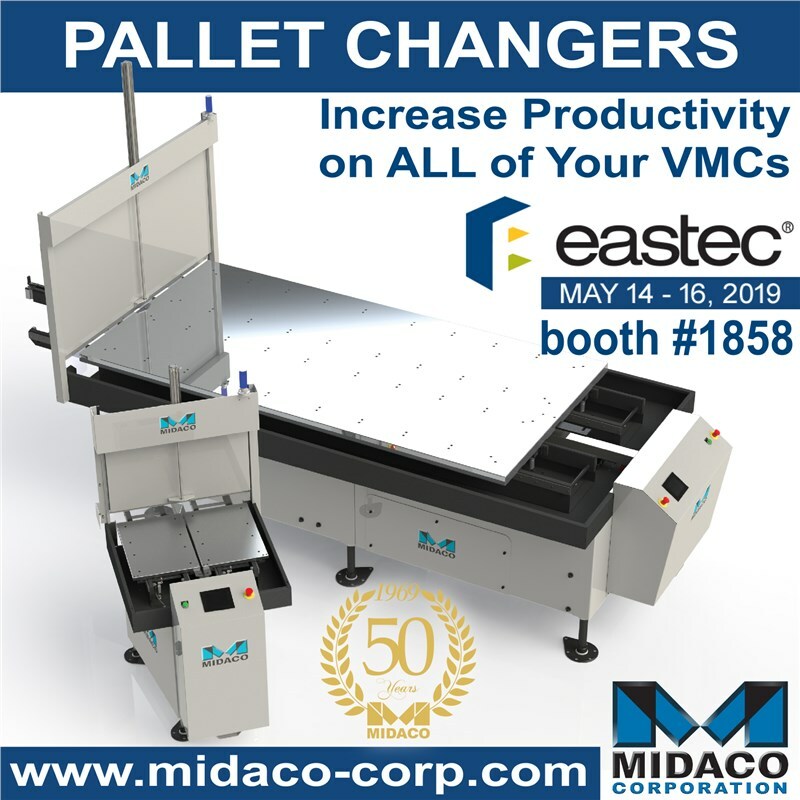 MIDACO Pallet Changers are a simple solution to eliminate unnecessary spindle downtime and rescue lost profit on large as well as small and mid-size machining centers. A pallet changer allows you to load your part onto a shuttle outside the machine tool WHILE your VMC is cutting, then change out your large part in MINUTES. Single Shuttle Systems mounted on the right or left side of a VMC with 2 pallets up to 150” x 31” (3,810mm x 787mm) and 8,000 lb (3,632 kg) load capacity receiver (with parts evenly distributed). Dual Shuttle Systems (one mounted on each side of the machine) with a total of 4 pallets up to 150” x 31” (3,810mm x 787mm) and 8,000 lb (3,632 kg) load capacity receiver (with parts evenly distributed). 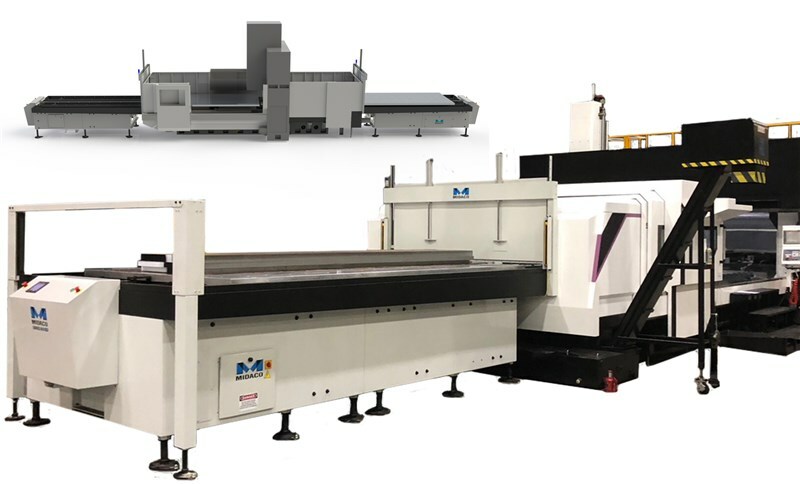 Single/Dual Shuttle Systems with a total of 2 pallets for machines that do not move in Y-axis, up to 190” x 88” (4,826mm x 2,235mm) pallet size and 32,000 lb (14,528 kg) load capacity receiver (with parts evenly distributed). 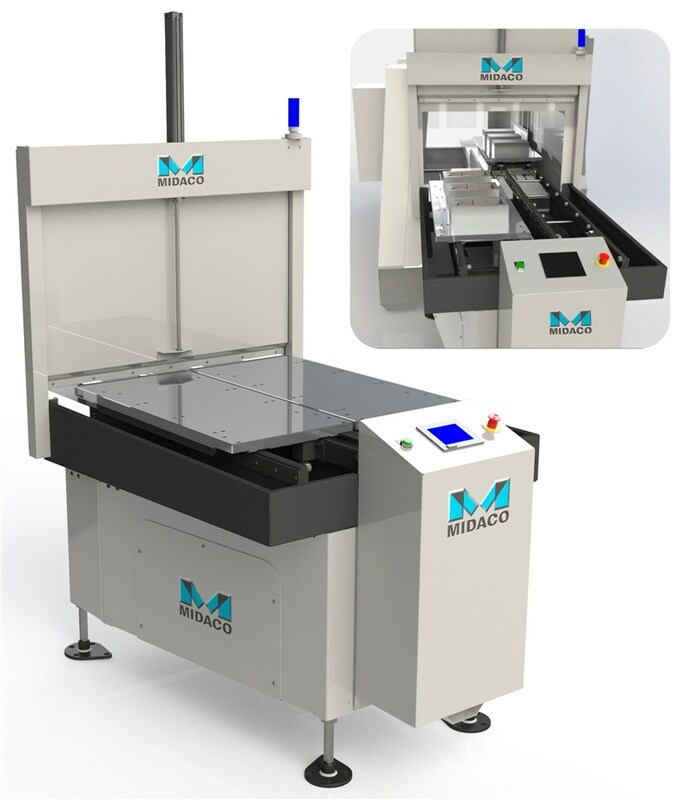 Your VMC can do MORE with MIDACO! Up to 32,000 lb (14,528 kg) weight capacity (with parts evenly distributed).